Luxury first floor condo in a brilliantly designed, quality built, quiet all masonry, nine unit boutique building. Great family beach block neighborhood. Professionally decorated 1400 sq. ft. corner unit with plentiful glass. Huge state of the art gourmet kitchen, panoramic great room, three bedrooms (sleeps eight), two baths, private laundry, and two ideally located parking spaces. Large covered corner porch with beach view. Flat Screens, ceiling fans, elevator. Beautiful guarded beach. Two blocks south of the boardwalk, and six blocks south of the convention center. Vacation Rental Amenities State of the art kitchen with granite counters, stainless appliances. Master bedroom with flat screen, private bath and direct porch access. Tile Baths, Sleeping accommodations (2) Queen, (2) twin, sleeper sofa. Flat screens with Comcast, DVD. Microwave, coffee pot, blender, Washer and dryer. Activities and Attractions: Beautiful free access full time guarded beach. Linens are not provided. Guests must bring linens and towels. There may be extra linens at the property when you arrive. Excellent location...great place to stay! Had a great time staying in this perfectly located, nicely appointed place! Thankfully the weather cooperated too...Will definitely be back! As far as a place to stay it was nice. Nothing spectacular. The one real downfall is the only view is of the hotel across the way. Wish it had more of an Ocean View. Perfect start to summer season!!! This place was clean and gorgeous!! Perfect location to the boardwalk and all other kond of great activities. I would definitely book this place again. Steve the owner had a quick response time to all messages that I sent. My family and I had a great time!!! Hi Steve, we really had a nice time at your condo. There were some things that we had trouble with, I'm not sure if you have a cleaning crew come out and clean but the tub's and the sink and the floors were pretty dirty and the shower curtains had mold on them. We also didn't find instructions on how to turn the television on and no connection to cable. Also there were no instructions on how to operate the air conditioning unit. I know we should've called you but we just made do with the fans that we brought down. Other than that it was comfortable, and it was very close to the beach which we enjoyed because you know the walk from the street to the water requires a taxi! Have a great winter! Nice amenities, great location, very nice place. Been coming down for years hope to stay here in the future. We hesitated to rent this unit because it was on the first floor, but we were pleasantly surprised that we didn't have any overhead noise. The unit is as described. There were even a few bikes, a beach cart, and some boogie boards in the shed. The only improvements I would make would be to fix the loose tiles in main bath and purchase a Keurig. We will absolutely save this property for our next trip! 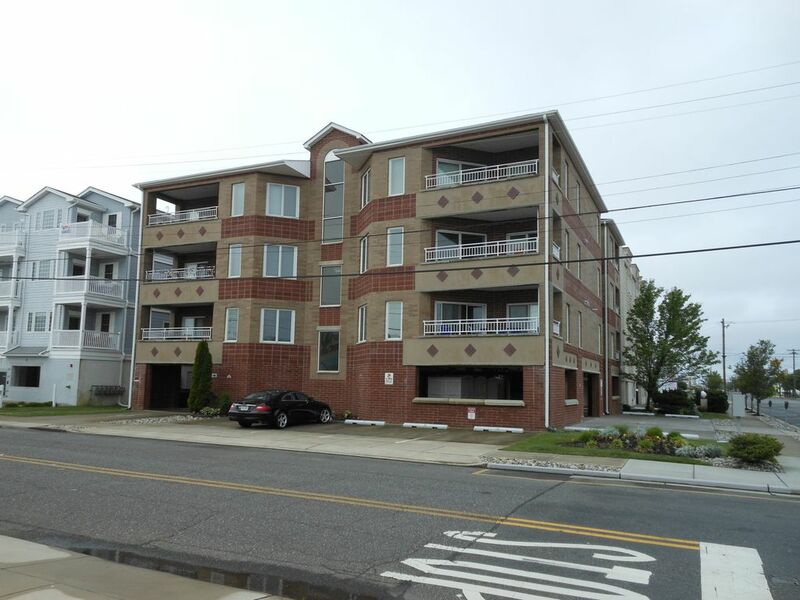 Two blocks from Boardwalk, Playground, Tennis Courts, Basketball Courts, Bike Rental, Bike path, Restaurants and Deli. Public Library, Crest Pier@ Gazebo, Six blocks to convention Center. Must rent full weeks from June 15th till August 31 to accomadate cleaning crew.